Apple iPhone 8 is coming on 12 September! 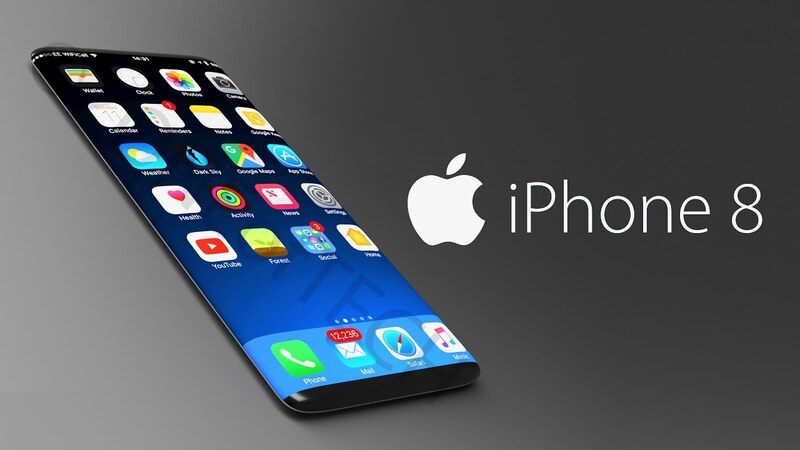 The latest in the series of Apple smart phones is expected to feature a full glass body, no home button, edge-to-edge display, 5.8″ OLED display, facial recognition and wireless charging. Let’s learn about these features. iPhone 8, iPhone 8 Plus and iPhone X were announced on 12 September 2017 at a keynote in the Steve Jobs Theater in Apple Park. iPhone 8 and 8 Plus will go on sale from 15 September 2017. In India, iPhone 8 and 8 Plus will be available from 29 September 2017. Price of iPhone 8 in USA is $699. In India, the price would start from Rs. 64,000. Price of iPhone 8 Plus in USA is $799. A major feature of iPhone 8 is the handset’s screen-to-body ratio. It could have a 5.5 inch or bigger (5.8 inch) OLED (Organic Light-Emitting Diode) display that almost covers the entire front of the phone. Some of the iPhone 8 models may have a glass back. The pixels on an OLED screen produce their own light, thereby eliminating the need for a backlight. This feature will not only help save power but also improve and widen the color range. iPhone 8 will not have a physical Home Button, thereby eliminating the concept of Touch ID completely. Instead, it is expected to have a Virtual Home Button that can change its size or be hidden depending on the task and the app being used. iPhone 8‘s advanced facial recognition technology will allow you to log in, authenticate payments, and launch secure apps by scanning your face. A new dedicated 3D sensor will power the facial recognition. The iPhone 8 may have a powerful dual lens camera that will reside vertically and not horizontally. To support the new facial-recognition technology, the front-facing camera may be placed within a cutout atop the new edge-to-edge display. The phone may also include an enhanced dual rear camera. iPhone 8 may include wireless charging in addition to fast charging. It could well be true, assuming that it will have a glass back. All the available wireless charging phones in the market have a glass or plastic back because electricity can pass through straight without any hindrances as compared to the metals. However, the speculation is that not all the models will have glass backs, so wireless charging will not be available on all the devices. Another rumored feature is the USB-C. The iPhone 8 may replace the USB-A portion of the charging cable by USB-C, and the other end will continue as Lightening connector. It means new iPhone will support fast charging by adopting the USB-C Power Delivery Technology. iPhone 8 may probably offer 64 GB and 256 GB storage options and 3 GB RAM. iPhone 8 will include upgraded speakers for improved stereo separation. However, it will not include the headphone jack. Speculations are that the iPhone 8 could be available in multiple colors including a reflective mirror like finish. It could be black, silver and copper colored (Blush Gold). However, one is not sure if it will include rose gold and white. In short, it may or may not have enough color options. The price of iPhone 8 could be well above $1100. Sounds high, right? Well it is on the higher side, but then iPhone is a phone with the best hardware and software! Is iPhone 8 a necessity for all the existing iPhone owners? No, if you own iPhone 7, you need not upgrade. Barring few features, iPhone 7 is still a very capable handset by the modern standards. i love iphone. i am just using iphone 6s.. thanks for sharing iphone 8 features..